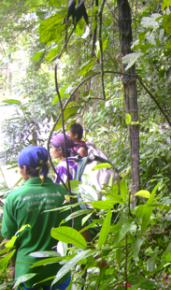 The KDHW has a growing number of programs and activities in place to carry out its mission of improving the health of the Karen population. The Mobile Health Clinics (MHC) provide primary health care and dental care, as well as community education. The programs support prevention or treatment of specific diseases and health conditions and are integrated at the clinic level. Each mobile health clinic implements two to seven specific programs.